Football is back as Blades set the standard and Bees miss out. 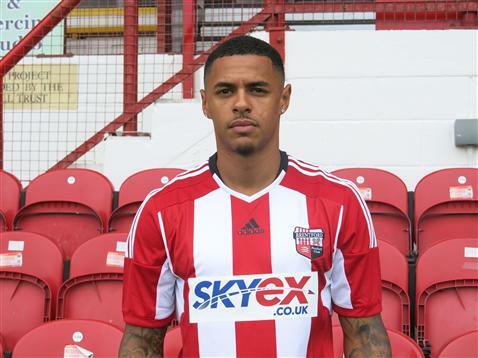 Another season begins, another round of opening day disappointment for Brentford. The Bees left Sheffield United on the wrong end of a 1-0 defeat which could have been more – the second of the hosts two disallowed goals subsequently being deemed very unlucky to be chalked off. Yet on a day dominated by home teams where only three away goals were scored in the Championship, including one for Hull City in their 1-1 at Aston Villa (as predicted yesterday – I’m still in shock), Bees fans should remain upbeat. The Brentford connection (he’s played for both) : It can only be Jonathan Douglas, surely? What about Nicky Forster ? 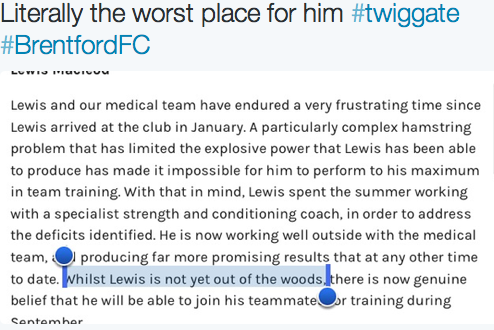 Marcus Bent, maybe? Who could forget Icelandic demigod Hermann Hreidarsson ? But no, my choice goes to Jay Tabb. Part of my all time Brentford XI (Szczesny, O’Connor, Evans, Hreidarsson, Grainger, Paul Evans, Forshaw, Sinton, Tabb, Holdsworth, Blissett), the Bees picked him up in 2000 after being released by Crystal Palace. The wing wizard went on to make 128 appearances, aswell as earning 10 Ireland U-21 caps, culminating in the doomed play off campaign (is there another type?) against Swansea City in 2006. The ever-popular Tabby left for (then) Championship Coventry, has since tasted top-flight football with Reading before making just shy of 80 appearances for Ipswich Town. 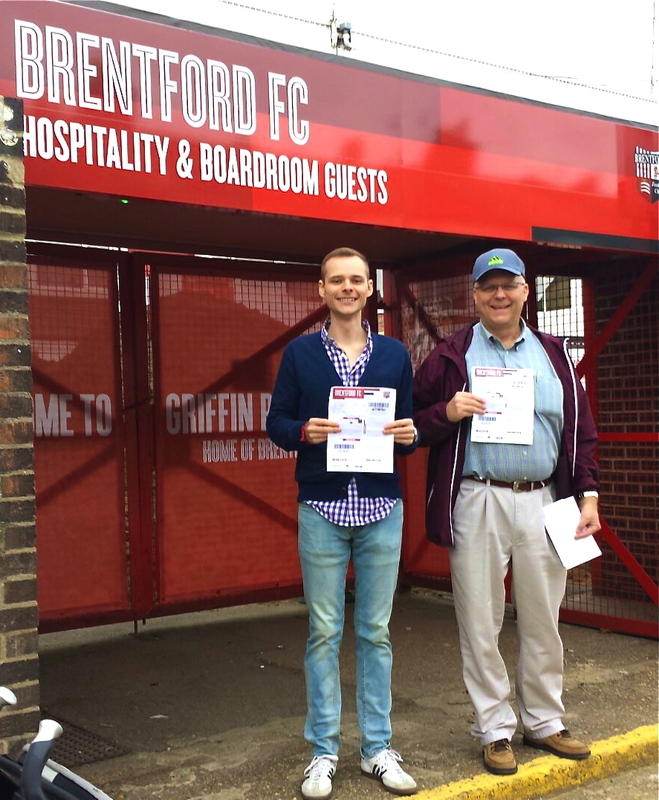 The Brentford encounter (noteworthy game with the Bees): It is only in recent seasons where our paths have crossed with any form of regularity – certainly in my lifetime. As such, I’m going for the opening game of last season’s Championship campaign. With Brentford fans getting their initial taste of life under Marinus Dijkhuizen it also marked our first game without Jonathan Douglas – the new head coach having immediately released him from his duties at Griffin Park. Where else but Ipswich Town would be his next destination as the Tractor Boys, with the former Bee on the bench, swept into a two goal lead despite an appalling playing surface that would quickly adopt the pitchgate monicker. Just twelve minutes remained as Dougie entered the (ploughed) field of play with the score still set at 0-2. This was still sufficient time for Douglas to both break Jota in an ‘accidental’ challenge that would see the ever popular Spaniard miss out for the next few months and oversee a near certain victory turn into a draw. Goals from Andre Gray and James Tarkowski in the heart of Jota time rescuing a 97th minute point for Brentford. Favourite son (their most famous former player) : For the casual observer, there can be only one choice. Famous names from the Ipswich Town’s heyday include those such as Frans Thijssen, Arnold Muhren and Mick Mills. However, for me it has to be John Wark. Voted the club’s all time cult hero in the BBC’s 2004 poll, who am I to disagree? A Scottish international, he was their player of the year 4 times in 6 seasons over a career that encompassed three spells from 1975 to 1996. With FA Cup and UEFA Cup winner’s medals in his cabinet (not to mention acting honours) there can be no other. Famous fan: Ipswich have a few. Their director’s box is a veritable ‘who’s who’ of the rich and famous.Tom Chaplin from Keane, Charlie Eyebrows from Busted. Brian Cant. Yes, THE Brian Cant. Let’s hope The Tractor Boys don’t play away as wonderfully as the voice of TV’s Trumpton (kids, ask your parents). But perhaps the biggest of all is Chester Bennington from U.S. rockers Linkin Park. Supposedly introduced to the club by his father (a police office who had become friends with a fan from Suffolk one holiday) he has been pictured in the team colours although it would seem he is yet to actually attend a game. Best ever league performance: There are sure to be plenty but one sticks out in particular for me. A top flight destruction of Manchester United by a staggering 6-0. That’s one short of brackets. Back in March 1980 Bobby Robson’s boys, inspired by Town’s Dutch duo of Arnold Muhren and Frans Thijssen, destroyed a Manchester United side whose fans were left sining “We want 7(seven)”. Who doesn’t? It could have been worse but for Gary Bailey in the United goal. The Red Devil’s ‘keeper saving three penalties, one of which had even been retaken. Moment of ignominy :4th March 1995. Roles were reversed. And then some. Manchester United setting a Premier League record for the largest winning margin as they humbled Town 9-0. Those beautiful brackets were achieved in little over an hour as they almost made it to double figures. Incredibly, less than 44,000 were present at Old Trafford for this one. How times have changed (or perhaps Season ticket holders were just impacted by trouble on the line up from Guildford). Manager of the century ( most famous / popular manager) : There is only ever one answer to this question – the legend that is Sir Bobby Robson. In charge at Portman Road from 1969 to 1982, he took his club to the brink of the top flight title with a win ratio of close to 45% over this 13 year period. Double silverware came with the 1977-78 FA Cup and the 1980-81 UEFA Cup before he left to take on an eight year spell in charge of the England team that culminated in that World cup semi-final heartache against Germany . All time high ( the club’s defining achievement): You could pick any of the victories or cups noted above but, for me, Ipswich Town have a much bigger and totally unique place in football history. Specifically, their representation in the film Escape To Victory. The aforementioned Wark appears (naturellement). As does Russell Osman, Robin Turner, Kevin O’Callaghan and Laurie Sivell. In addition, body doubles Kevin Beattie and Paul Cooper filled in for Michael Caine and Sylvester Stallone during some of the ‘match action’ scenes. John Wark and Pele. Together. Only in Escape to Victory. I never had the privilege of seeing George, who was this year inducted into the club’s ‘hall of fame’, play for the Bees and so would struggle to pay adequate tribute. However, I was fortunate enough to interview Jim Towers back in December 2009 for a piece which, inevitably, focussed heavily on the relationship with George and their playing days. The article is reproduced below – as we pay tribute to a man who was a hero to so many Brentford fans, through the words of his team-mate and friend. The careers of Jim Towers and George Francis, Griffin Park’s own “Terrible Twins” are hard to separate. From their time playing against each other for rival Saturday teams though National Service together and then part of the same Brentford team for most of the 1950’s until a controversial sale to Queens Park Rangers, they truly are legends. With 163 and 136 goals respectively, Jim Towers still hold the all time Brentford goalscorer’s record! It speaks volumes for their pairing and the team of the time that that they were able to accomplish this simultaneously as, fifty years later, Francis is still our second place all time scorer. A feat made all the more incredible when you consider some of the goalscorers that have followed them through the years and had the chance to make this record their own – Sweetzer, McCulloch, Holdsworth, Forster, Blissett and Owusu to name but a few. “Where are they now” was fortunate enough to met up with Jim recently to find out how he got there, his opinions on the game today, his memories of the time and that move to Loftus Road. In 1947 Brentford had been a top-flight team. Seven years later and they were back in Division Three, with a team heavily dependent on youth policy. However, this focus on youth, combined with the club’s slump in form, gave Jim Towers his opportunity. “They had a fellow who ran Brentford juniors called Alf Bew. He didn’t really know a lot about football but what he used to do, and there were quite a few Brentford players in this area, was sign everybody on amateur forms. Brentford had a few schoolboy internationals but anybody in the area he’d sign! I came from Shepherds Bush but when I turned professional there were quite a few schoolboy internationals who played for the first team but didn’t really go on. Alan Bassam, Roy Philpott. All schoolboy internationals in this area but that was Alf’s success. He just signed everybody on then other people used to look at them. It was a joke. You kept everybody and if somebody got injured, you got a chance. From playing with the juniors, Jim’s next move was one which took him by surprise, especially as he was about head off to Germany with the British Army. “Coming up eighteen years old, nobody at that age played although these days you’re in the first team. I was coming up to that age and going into National Service, which you had to do. Then they asked me if I’d like to turn professional! It was out of the blue because I didn’t think I was any better than any of the others and so I signed professional around June and then went into the army on July the 4th. The only contact I then had with Brentford was minimal because I was in Germany all the time. Having come out of the army, although signed to the club it wasn’t a case of walking straight into the team. Jim continues, “ It took a year and as I said, when I came out the army in 53, it was mid-season. Then you had that year where, at the end, I could have been let go. There were lots of players not being kept and in those days you used to get a letter saying you are or aren’t being retained. That’s how it was. To say it went on and on is putting things mildly. Whilst Jim was on the books for ten years from 51-61, his goals came in an even shorter period if you consider he only started playing in 1954. “I was what they a call a fixture, I was always in the team. At the same time, if you look at the Guinness book of records or any other book, you’ll find that people who scored a lot of goals were at the club a long while. In my best year I got 37. Now, if somebody got 37 they’d be sold. No question. So, it’s nice to have the record but it’s a little bit artificial because players don’t stay that long. To score what I did now, you’d have to be at a club a fair while and you’re just not. Score twenty goals one year and you’re gone. There must have been more to it than just being a regular in the team. What did Jim put his goalscoring feats down to? “I had two good feet. Everybody thought I was left footed but actually I was right footed. That’s how good it was. If I had a penalty I’d take it with the right foot but the left foot, it didn’t make a difference. Once the ball was moving a bit, it made no difference. In actual fact, that’s what gives you the goal because you get that fraction of a second where somebody else tries to get it over and its gone. Bang. You get the goal. Whilst recognising his own skills, Jim is fair enough to admit where he may have been slightly weaker. It wasn’t just the ability to hit a ball with either foot but the ability to hit it with power, which was also key to Jim’s prowess in front of goal. I had read that at one point he actually knocked a spectator out. Is this true? The type of ball probably accounted for a few casualties, as he continues. “ The ball was a lot heavier! The ball’s changed. By the time I got in you had the white ball for floodlit matches and that was alright. The lace had gone. You’ve got to go back to 52-/53 for all that so I missed the laceup ball. It was a bit before I got in the first team. We’ve briefly mentioned his partnership with George Francis and I wonder whether this inspired him towards the amount of goals he scored. Was there any rivalry between the pair of them as they raced into the record books? Infact, they were very good friends, having met years earlier and perhaps this helped forge that bond on and off the pitch. One theme that runs throughout my conversation with Jim is his continued interest in the modern game, especially when comparing how things were fifty years earlier for him and George. 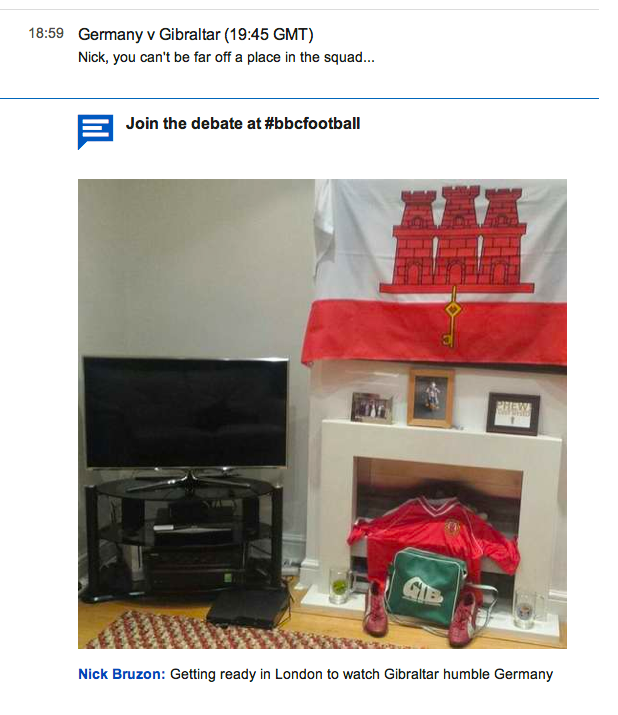 “Now football’s always in the papers, on the telly. You think that these days, my name would be up on that Sky every week – Jim Towers scored for Brentford. George Francis scores for Brentford. Now your name comes up and you’ve never heard of them, other than in the Premier Division. Its high profile. The fellow giving the commentary knows everything about them – that’s his tenth goal of the season etc Some little Carlisle fellows got his tenth goal of the season. Back then, nobody even knew where Carlisle was ! That’s how it is nowadays. It’s so high profile these days. If you look at Defoe who scored those five goals for Spurs against Wigan the other week…. I scored four goals against Southampton and I had to almost walk home after the match because by the time we got back to Brentford all the buses had finished and I didn’t have a car in those days. I had to make my own way home after scoring four goals. I don’t think Defoe had to do that!!! That’s exactly how it happened. It was an evening kick off and by the time you got back from Southampton the buses had stopped. How the game’s changed. Aside from transport issues, Jim also comments on another key differ between the way the game was played in his day and in current times. “Players drink a lot now during the game which was unheard of when I was playing. It was amazing when you think about it. You used to go all the way up North and you wouldn’t have a drink before you played. You didn’t get one in the dressing room. A cup of tea maybe, afterwards. Now, there’s water being thrown at them at all directions. Even the subs drinking. Tower and Francis managed just short of 300 goals between them for Brentford, including 61 in 58-59 which saw Jim top scoring on 37. As such, it seems incredible now but the start of the 1961 season saw the club choosing to sell the pair of them to arch rivals Queen Park Rangers. To this day, Jim is still not sure why. “ I didn’t particularly want to go to QPR. Why he sold me and George, I don’t know. They might have had a money problem but it wasn’t massive money we went for. About ten thousand in the end (the record books, officially, say eight) but it wasn’t big money so why they needed that I don’t know? It was a certainty they’d get relegated the following year. Which is exactly what happened. After we went they were taking people on free transfers. My mate Kenny Coote, the club captain, still used to come and have a drink with me Sunday nights. Even he said, we’re a certainty to go down and that’s what happened. There was no reason to go and now I‘m not sure why I didn’t make a stand. The passion with which Jim talks about the Brentford games against QPR, prior to his enforced move across West London, make the transfer sound even more ridiculous than he puts it! “QPR. For me, and George, it was more than a local derby. We WANTED to win and to beat them more than anyone. Over the years, I don’t think QPR came off too well and perhaps that’s why they took a liking to us and bought us. We had a very good record against them. It was the special one. More special to me and George than Ken, for example, who used to live over this way (Jim is still a Hounslow man). For us though, George was Acton and I used to actually walk from my house to QPR when we played there. Outside of the derby matches, Jim cites two particular games as real stand out moments. The more obvious one is that which resulted in his long walk home that one night. “I had had a trial for Fulham but it turned out that I went to Brentford. I do wonder if a man of his talents ever considered staying on in the game? However, in regards to working in the game, Jim is clear. Outside of work, now that Jim is retired does he still watch Brentford much? “Not very often. I go occasionally. I went last year and also when Brentford have played QPR but I don’t often go. Unless you go regularly you don’t get a feel of the players so you’re just watching a group of people. You’ve got to get to know them, to get the feel of the players. I could tell you more about Tottenham or Arsenal now because I watch it on Sky. It seems surprising, although perhaps more symptomatic of the way football has changed, that for all his goal scoring heroics Jim only has one hat-trick ball in his collection. Or should I say, had…. No. In those days you didn’t get them. I’ve only ever had one football from when I scored a hat-trick for Millwall, after I’d left QPR. They just didn’t give them out in those days. I never got a ball from Brentford. I did have a ball from Millwall but what happened was, when I went to Gravesend they were always short of everything. Didn’t even have a ball. In those days Brentford were short, imagine what Gravesend were like!! I said to (the then manager) Walter Rickett, I’ll fetch my ball. I let them play with it, then left it down there. Once you’d played with it, that was it. They weren’t like they are now and it had got a little bit torn so I said to keep it. Meeting Jim has been a real eye-opener in the difference between the way football was played then and now. More than that, it has been a pleasure to meet a man of his reputation and hear him talk so modestly about his achievements. This is perhaps best summed up by Jim’s own appraisal of his time at Brentford. “Anybody watching me when I was 20 and they were 30 is probably long gone now!